Probiotic diets are used for treatment of intestinal yeast and bacterial infections. Probiotic bacteria help restore beneficial organisms in the gut that eliminate pathogens. Acidophilus in milk was the first probiotic compound used for lactose intolerance. By improving intestinal flora, probiotics are used to help treat both food and airborne allergies. According to a study published in the medical journal “The Lancet,” probiotics have been proven effective in prevention and treatment of various diseases. Prebiotics are non-digestible foods that stimulate the activity of bacteria in the colon. Bacteria, usually lactic acid, and yeast combine to produce micro-organisms that break down sugars and carbohydrates to benefit digestion, boost the immune system and maintain intestinal pH. Probiotics are used primarily in fermented dairy products but fermented vegetables and meats may be available in the future, according to an article by Nicole M. de Roos and Martijn B. Katan published in “American Journal of Clinical Nutrition" in 2000. The two main types of microbes in probiotics are lactobacillus and bifidobacteria. Lactobacillus, or acidophilus, promotes efficient digestion and nutrient absorption in the small intestine. By lowering pH levels, lactobacillus creates a hostile environment for urinary tract infection and bacterial diseases such as E. coli and salmonella. Bifidobacterium in the colon protects the intestinal lining and produces acids that maintain proper pH balance. Bifidobacterium prevents toxic nitrates from being absorbed and helps manufacture B vitamins, according to the Environmental Illness Resource website. Probiotic foods have beneficial properties beyond their nutritional value. 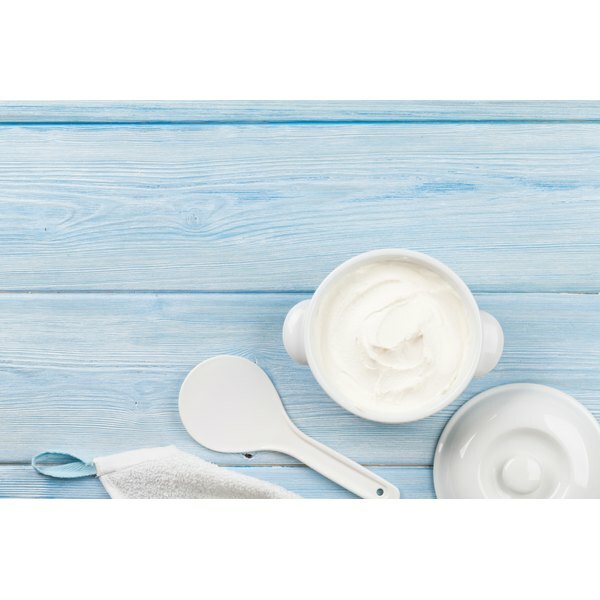 Most common in dairy products containing fermented live bacteria, probiotic foods include some yogurt, soft cheese, cottage cheese and kefir. Other probiotic foods include fermented soybean-based products, such as tofu and tempeh; some pickled products and sauerkraut; sourdough bread; and alcoholic drinks, including wine, cider and beer. Probiotics are also available as a supplement in tablet, capsule or liquid form and appear in snack bars, powdered drink additives and baby foods. Probiotics assist with normal flora production essential for a healthy digestive system. In addition to alleviating lactose intolerance and enhancing the immune system, evidence suggests probiotics may inhibit rotavirus, the cause of stomach flu. Clinical research, published in the May/June 2005 issue of “Journal of Clinical Gastroenterology,” reported that infants receiving a daily oral dose of probiotic compounds had a 16 percent incident of diarrhea compared to the non-supplemented group with a 31 percent rate. The “American Journal of Clinic Nutrition” published the results of 49 studies from the Wageningen University, Netherlands, and concluded that lactobacillus might produce a high antibody response to boost the immune system and consistently found lactobacillus to shorten the diarrhea stage of rotavirus infection. "The Daily Mail" website reported that 24 out of 296 patients died during a study at the University Medical Centre in Utrecht, Holland, which researched probiotics effect on inflammation of the pancreas. Researchers concluded that extremely ill people should not consume probiotics. The Dutch Food and Consumer Product Safety Authority ruled that probiotic food or supplements should not be given to intensive care patients and those with organ failure or who are being fed through a drip. Catholic University of Louvain: Prebiotics and Probiotics — Are They Functional Foods?